This past weekend was…weird. We had the inauguration of our 45th President and we had millions of people protesting. There were a lot of times when I wondered what year it was. And let me be clear in stating, it’s not because I think President Trump is about to set up back 50 years. I found myself really angry at certain points this weekend. Watching the Women’s March stirred up a part of me that I knew was there, but thought it was better kept hidden. Abortion is that hot button for me. It’s that one issue that I’m more likely to get red in the face trying to battle. I hate it. I h a t e it. I pray every day that it would eventually not be a think. Which side note, last year there was the lowest number of abortions ever. PRAISE JESUS. Most times when I think about it, I can’t even believe it’s a real thing. Killing (because yes that’s what happens) a tiny human before they even have a chance to see this big and beautiful world. Here’s what kills me even more. The top two reasons for abortions is: can’t afford a baby, women don’t want the child. WHAT IN THE ACTUAL….you can finish that sentace with whatever word you want. How anyone wouldn’t want a tiny human is beyond me. BUT. It’s happening. So I’ve been thinking a lot about my role in all this. Because yes, I have one. As a woman I want to start doing more. Sonny and I currently donate $30 to Save The Storks. You can read more here, and here about this amazing organization. I realize that we live in a country where we get to do more. We don’t have to just sit back and let the voices of those that are so loud, and often times obnoxious make the decisions. I also realize that I need to be quiet enough so that I can see more of the other side. As painful as that might be. Because the only way things are going to change, is to come together. And to love on one another. What this actual means for me, I have no idea. But I’m going to figure it out through a lot of prayer and listening. This weekend is the March for Life in DC. Will it be covered by the news like the women’s march was? I doubt it but I’m praying it will. I’ll be cheering everyone on there and wishing I could go. Maybe I’ll march around my neighbor hood. I’d march for my beautiful daughter. I’d march for the women wondering what other options there are besides abortion. 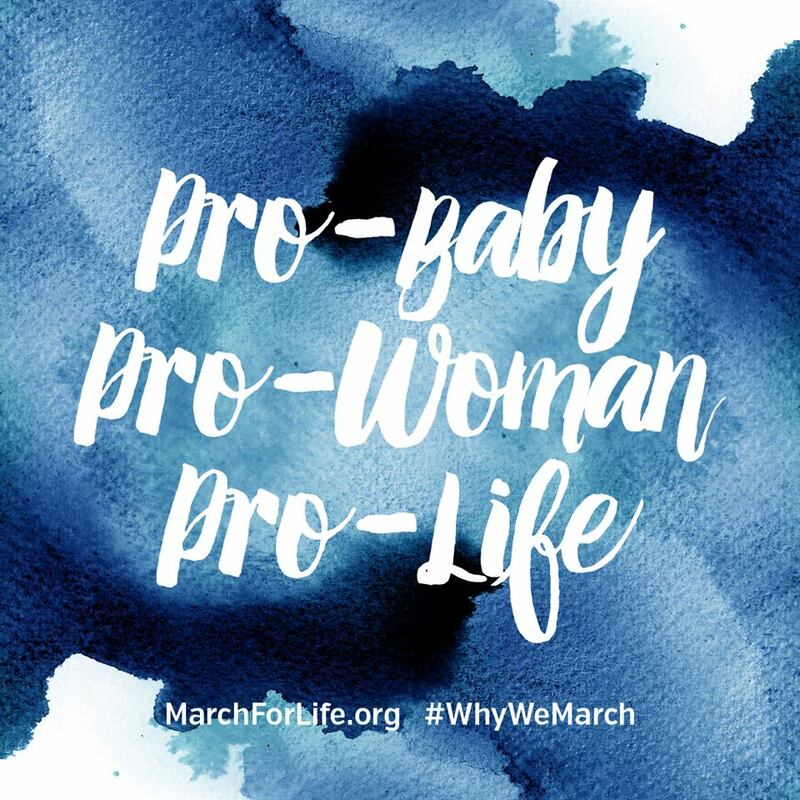 I’d march for the tiny humans that God has created in His image before they were even formed in their mothers womb, to get a chance. I’d march for a change in heart for any leaders who don’t believe a human in the womb has any rights. I’d march for the generation of pro lifers that’s rising up. I’d march for the babies. The beautiful baby girls and boys who deserve a chance.